If you would like us to install the Renegade Child Theme at your domain, click the button below to purchase and we will be in touch to get all the details of where your blog is located and will get to work immediately on the installation. 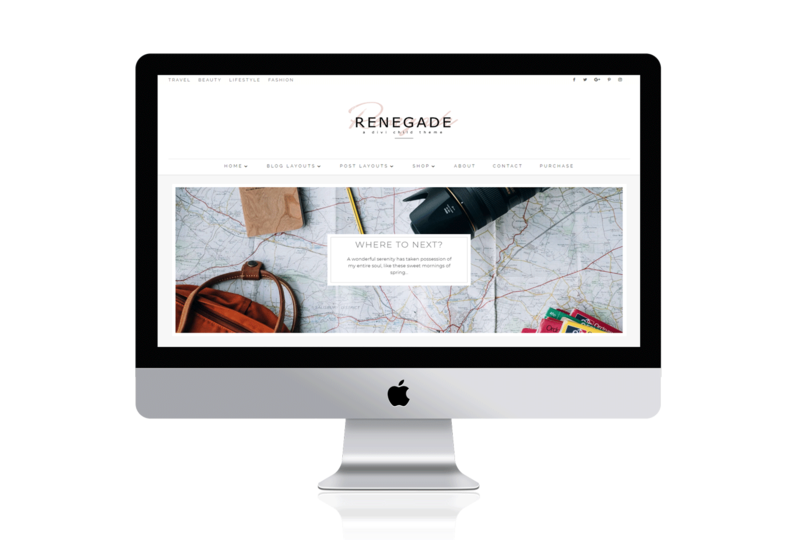 Renegade is a minimal, masonry WordPress theme built for bloggers. This theme is built on the Divi framework and it comes with all the bells and whistles Divi has to offer. Minimalist and modern with loads of sign up optins for the serious blogger to grow their list. Renegade – A Divi Child Theme is a minimal, masonry WordPress theme. The theme looks gorgeous as a wedding blog, but can be equally as stunning on any type of blog. The masonry layout uses different sizes of images – both vertical and horizontal images can be used. No resizing of images in order to suit your WordPress layout – BONUS! This theme is built on the Divi framework and it comes with all the bells and whistles Divi has to offer. Minimalist and modern with loads of sign up optins for the serious blogger to grow their list. 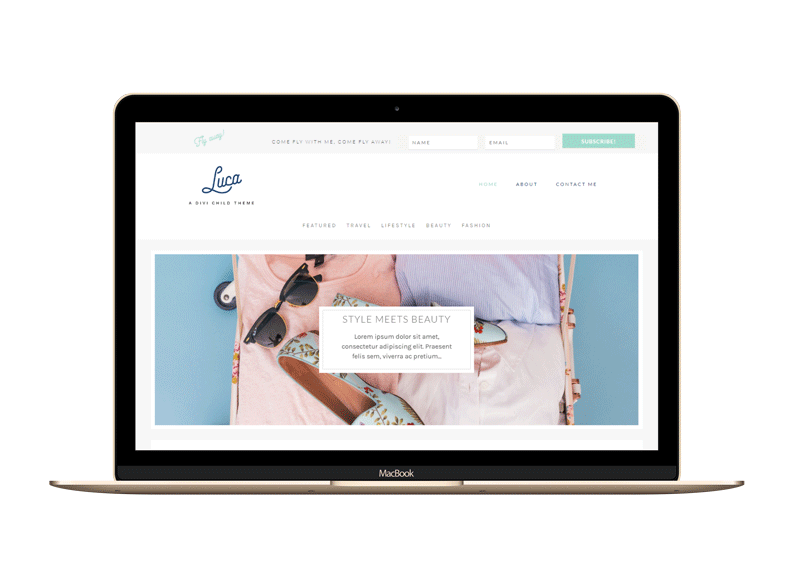 The Renegade – A Divi Child Theme is extremely versatile and is perfect for bloggers in the photography, wedding, lifestyle, fashion, travel and beauty industries. Installing this Divi child theme will allow you to get your WordPress website up and running within hours. If you would like to make use of our quick installation service of your Divi Child theme, check the button below and we will get your website up and running within 24 hours to look exactly like the demo. Renegade – A Divi Child Theme is a fully functional website that with a little imagination and good graphics will ensure that your business will sky rocket. Perfect for beauty, lifestyle or travel bloggers. So, what happens now? I just bought a theme? Now what? You will receive a download file. You need to extract the contents of the file and open the PDF file. This file will tell you where to go next, to get your Divi child theme installed on your domain. Follow the online instructions and you will have your website up and running in no time! We don't make cookie cutter themes! We build our themes from the ground up, offering you a near custom design experience! It's like having your own web designer at a fraction of the cost! You can actually see your changes! See your website take shape in real time with the built in Divi visual builder. It's some kind of awesome! There is masses of it! 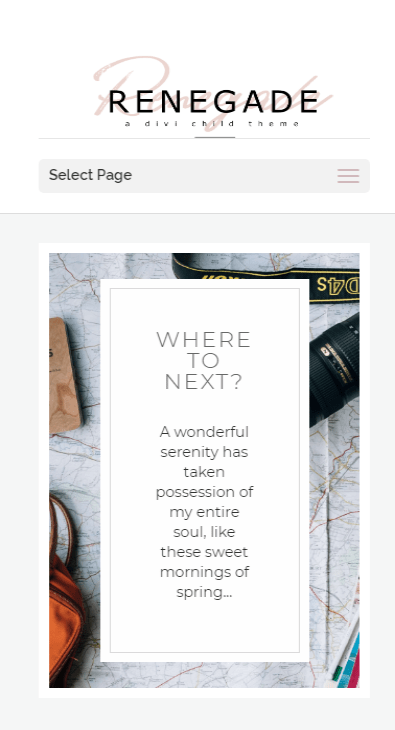 Detailed step by step instructions to get your theme up and running - quickly! Need help? Ask us or ask the fabulous online Divi community. Oh so helpful! 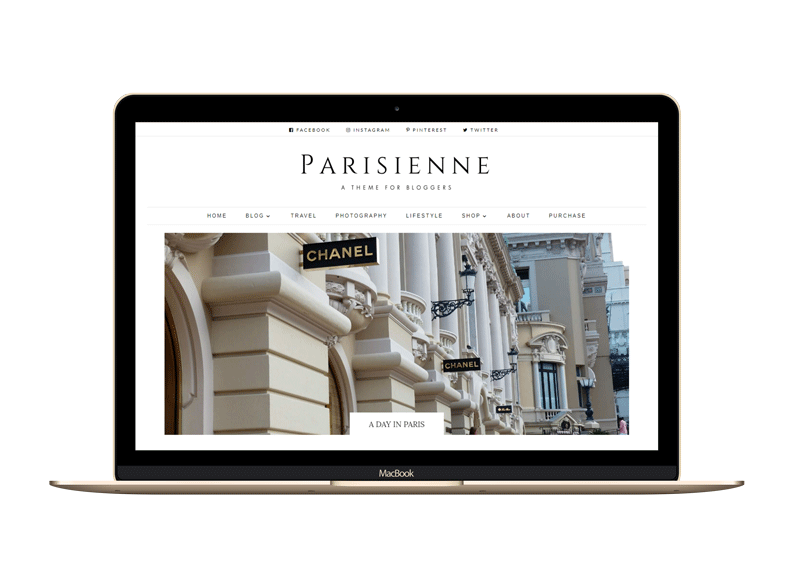 The theme is yours to use on unlimited domains that are registered in your name, but we would ask that you not give the theme to a third party, as we are a small business and we need to pay for our coffee somehow. Due to the nature of our products, we do not offer refunds.